Towards the south west of Kathmandu, Sheshnarayan Temple or Shesha Narayan is a part of the all four Narayan temples (Icchangu Narayan, Bishanku Narayan and Changu Narayan) which are located on the cardinal directions on hilltops believed to have been built to protect Kathmandu valley from each side. 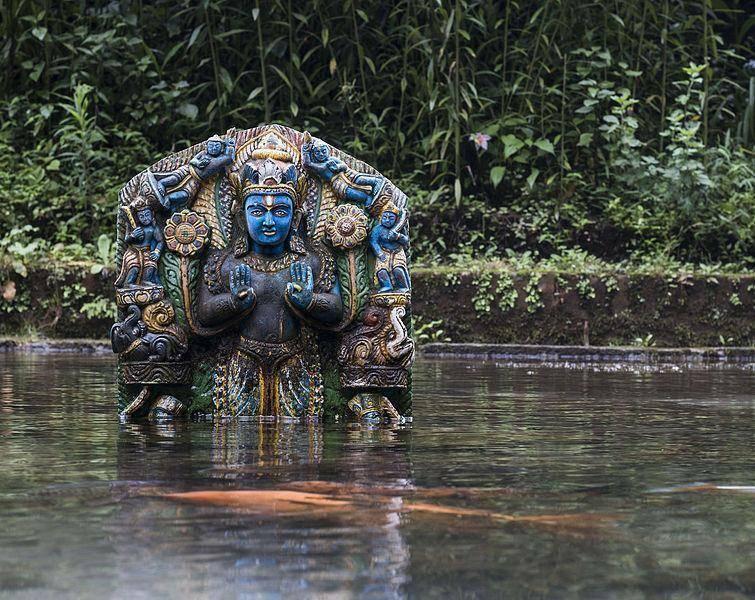 Shesha Narayan has a unique surrounding with ponds and statues and carvings submerged in the water. The Shesha Narayan also has an interesting belief/story about the cave behind the temple. People believed a particular cow’s dug shaped object flows with water all year long, however many seniors have also talked about incidents when they saw milk flow out of it for days. Art and craft belonging to the Lichavvi period are dispersed all over the temple. Nepal being a fairly religious country, loyally believes in the greatness of all four Narayan temples. Shesha Narayan temple has been considered equally important by the Buddhist as well as the Hindu’s. Since the temple is situated just a mere 600m away from Pharping, it makes it easier for visitors to plan a day trip sufficient for visiting both the places consecutively. An easy walk from Pharping can lead you to the temple in a matter of time and busses are always the most common means of transportation.